Lifetime sports are those you can play for, well, your whole life. Finding a sport you enjoy is one of the keys to exercise adherence, otherwise known as sticking with it once you start. It's much easier to find the time (and money) for exercise when it's also a fun pastime—even a passion. 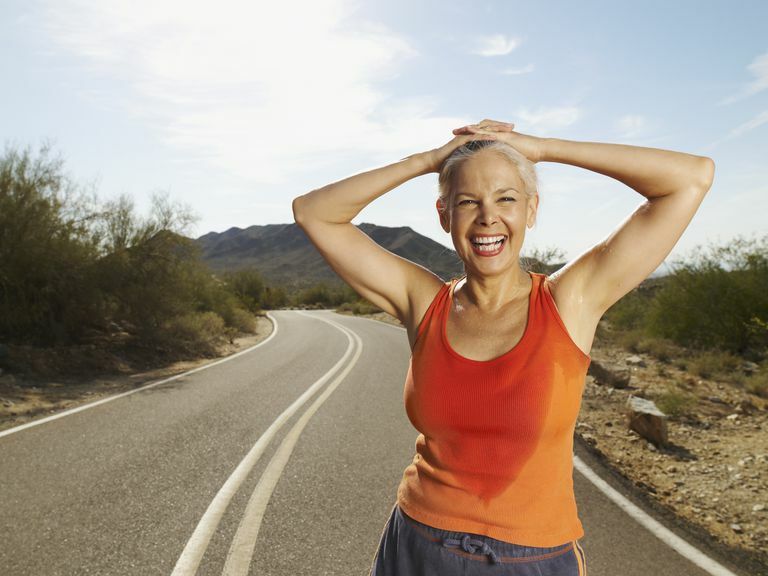 Plus, physical activity is important to your health at every age. For those over 65 years old, the ideal is at least 30 minutes of moderate exercise a day, 5 days a week, or 20 minutes of vigorous exercise a day, 3 days a week; strength training is also beneficial. Exercise physiologist Bob Hopper distilled that advice into a book called Stick with Exercise for a Lifetime: How to Enjoy Every Minute of It! His take: "While visions of improved health and fitness—not to mention looking and feeling great—can get most of us started on an exercise program, they're notoriously weak motivators over the long haul, he writes. " Instead, he argues, if you "pursue a physical activity program with the goal of having fun, learning new skills, and improving performance," better health and fitness will come along as "natural byproducts." What Makes a Sport a Lifetime Sport? Just about any sport could be a lifetime sport for the right person, someone who's experienced and fit. If you're starting a little later in life, some sports are too risky to be a good bet. In contact or high-impact sports, "lifetime" status is less likely because of the higher risk of both traumatic and overuse injuries. It sounds like a stereotype, but there is a reason why sports such as walking, yoga, and water exercise are popular as lifetime sports. They are simple to pick up and don't require a ton of equipment. You can walk at your own pace and on your own schedule. You can participate in water exercise anywhere you have access to a pool, although being enrolled in a class is usually helpful. Water exercise is easy on the joints. Yoga can help you preserve flexibility, and there is a huge spectrum of yoga styles and options for classes. A restorative class is slow and gentle, with lots of props to help you get into poses, while a power class will include cardiovascular effort. No matter what sport you choose (and remember, you can keep trying new ones! ), Hopper recommends a couple of strategies to help you enjoy it more. First, work with a coach, since learning new skills is energizing. Second, consider joining a team or at least pairing up with a friend when you play your sport. And finally, take it slow and steady. "You may start out thrilled with your new exercise program and decide to block out time for it every day," Hopper writes. "Resist that temptation. The most successful programs seldom develop that way. ...Most long-term success comes from starting small, experiencing success, and building slowly on that success." It's never too late to start! It doesn't matter whether you are trying to help your child settle on a sport, or you are a young adult looking to create a path toward lifelong fitness, or you're an older adult trying to start or restart a fitness practice. There is a sport out there for you.